Published: March 13, 2013 at 05:41 p.m. Updated: March 14, 2013 at 08:32 a.m.
No NFL team has a better record over the past five years than the New England Patriots. Not far behind are the Baltimore Ravens, Green Bay Packers and New York Giants. What does it tell us that four of the most respected personnel executives in the league have sat on their hands in the first two days of free agency, waiting for the values to surface in the second and third waves? The organizations that win year in and year out realize the funny money flows too easily when the free-agent gates swing open. Along those lines, let's take a look at five contracts that have the Around the League crew throwing a challenge flag. General manager Ryan Grigson is the reigning NFL Executive of the Year. In his first season on the job, Grigson showed a deft touch in free agency as well as the draft. Maybe he sees something the rest of us don't. An alleged outside pass rusher, Walden posted a paltry nine sacks in 40 games, 27 of them starts, across the past three seasons. The Green Bay Packers, with a sterling record in personnel evaluation, grew disenchanted with Walden the past two years and made no effort to bring him back. 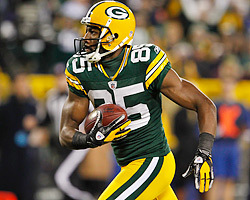 At $16 million over four years, Walden's contract mirrors the one Reggie Bush signed with the Detroit Lions. With a five-year, $34 million contract that includes a $10 million signing bonus, the Colts are paying Cherilus to play at a level commensurate with his career year in 2012. Before last season, Cherilus never was more than a league-average right tackle. The Colts obviously are unconcerned with a report that Cherilus underwent offseason "Regenokine" treatment on his knee. New Bears coach Marc Trestman has been one of the brightest offensive minds in football over the past two decades. General manager Phil Emery is a respected talent evaluator willing to think outside the box. Even if they deserve the benefit of the doubt in addressing the roster's biggest need, Bushrod's $35.965 million, with $17.7 million in guarantees, over five years is an eyebrow-raising contract. According to Pro Football Focus, Bushrod has allowed more combined sacks, hits and hurries than any available offensive lineman over the past two years. While Jay Cutler has a mobility edge on Drew Brees, the latter has a superior pocket presence with a quicker release. Brees often covered for Bushrod's weakness against speed rushers. The Baltimore Ravens had placed a high priority or re-signing Ellerbe as Ray Lewis' successor in the middle, but they weren't willing to overpay. Dolphins general Jeff Ireland was, forking over $35 million for five years. Ellerbe is coming off a breakout season as the Ravens' defensive MVP, but he has been a backup for the majority of his four-year career, starting just 14 games. Durability should be a red flag, as Ellerbe never has played more than 13 games in a season. Take a look at the top free-agent players available. On the positive side, Rams coach Jeff Fisher is familiar with Cook's freakish athleticism and explosive potential as a receiver after drafting him in Tennessee. On the negative side, Cook never has cleared 50 receptions, 800 yards or four touchdowns in a season. At $35.1 million, with $19 million in guarantees, over five years, the Rams are paying a premium for potential over production. Rolling those dice often comes back to haunt in the first wave of free agency. Similar to Ellerbe, Kruger entered the 2012 season as a career backup with the Ravens. After a dominant run terrorizing quarterbacks down the stretch and into the playoffs, he's collecting $40 million over five years, with $20 million in guarantees. Kruger proved to be a fine complementary piece opposite Terrell Suggs, the 2011 Defensive Player of the Year. The Browns are counting on him to be the focal point of Ray Horton's 3-4 defense.